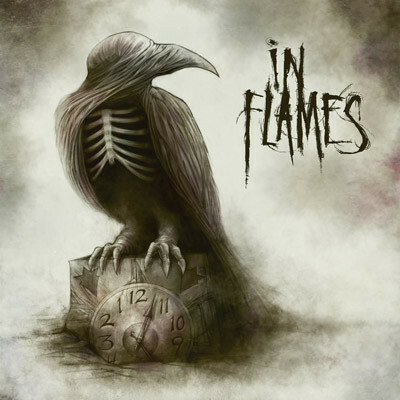 In Flames is one of those metal bands that has all but completely abandoned their extreme metal roots, opting instead for a more polished, mainstream sound. This has been done to varying results, and gradually. Over their 23-year history and 10 solid studio albums, one thing In Flames hasn't done is create the same album twice. Since "Reroute to Remain" especially, the band has slowly adapted their sound to a more alternative metal approach rather than the harsh screams and chunky death metal riffing that defined their earlier records. "A Sense of Purpose" was, by most accounts, and utter disappointment where the band fails to deliver anything of significant substance. It was this record that caused me to stray from the In Flames bandwagon when before I was a staunch supporter of the band. I am fond of several of this band's latter albums, so I am not one of those who will only listen to the band's earlier albums. As a matter of fact, I much prefer the newer records. This change of sound has both polarized long-time fans of the band and earned them numerous new followers. Where "A Sense of Purpose" failed, "Sounds of a Playground Fading" excels. I never did purchase this latest album, but it is on the list. This album sounds as fresh as is possible for a band that has been churning out metal records since their debut album in 1991. This album shows the band progressing nicely. This record knows what it is and does not try to stray to unfamiliar regions just to appease the older fan base. This is very much an alternative metal album that is much more mainstream than its predecessors. I have not listened to the entire disc, so I cannot give a perspective on the album as a whole. What I have heard, however, is two tracks worth hearing. When these tracks begin, you know you are listening to In Flames. However this album is a digression from their latest records. Instead of showing a slight return to roots, the band have grown further towards the mainstream spectrum. Instead of disappointment, this album delivers a a more passionate approach to metal, which makes it a more rewarding listening experience. I have heard three songs from the "Sounds of a Playground Fading" are both quality productions that should earn the band even more followers. If you are fan of In Flames, old style or new, it will be worth your while to check this album out. Below are two tracks, Deliver Us and Where the Dead Ships Dwell. Thanks for reading and enjoy! I enjoyed both tracks. They are one of the best metal bands today in my opinion. I'm sad that I missed them for my list.